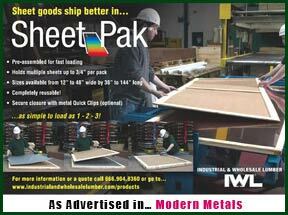 For companies looking to ship larger and heavier sheets of material, IWL introduces Sheet-Crate™. Talk to your IWL representative today to determine which packaging system is right for your application. Industrial & Wholesale Lumber specializes in custom manufactured wooden crates, pallets, and skids built to your specifications using Heat-Treated material. These can also be certified for export shipment per ISPM-15 standards for wood packaging material. For more information on Heat-Treatment marks, please contact your IWL representative or visit the Timber Products Inspection website. Industrial & Wholesale Lumber inventories 48”x40”, 4-way Heat-Treated pallets required for export shipments that are compliant with the ISPM-15 standards for wood packaging material. For more information on the ISPM-15 standards, please contact your IWL representative visit the Timber Products Inspection website. Industrial & Wholesale lumber inventories a wide array of softwoods in various grades, rough common hardwoods, and Heat-Treated lumber suitable for exporting. We are registered with Timber Products Inspection, Inc., and certified to produce and stamp ISPM 15 lumber, crates, boxes, pallets and skids. For more information on the ISPM-15 standards, please contact your IWL representative or visit the Timber Products Inspection website. The dunnage mark on lumber identifies wood as being Heat-Treated and debarked and in compliance with ISPM-15 standards for export shipments. It is typically used for blocking, bracing, and chocking inside shipping containers and used primarily by wood packaging manufactures, shippers, and freight consolidators. 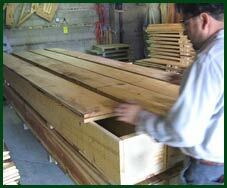 At a minimum, the dunnage mark must be applied legibly every 24 inches. For more information on the ISPM-15 standards, contact your IWL representative or visit the Timber Products Inspection website. At Industrial & Wholesale Lumber, we keep a large number of various panel products used in industrial packaging applications in stock year round; including Industrial Particule board, plywood, OSB, and hardboard. If necessary, these panel products can also be cut to your specific dimensions. Talk to your IWL representative about these services. IWL carries a wide assortment of PYRO-GUARD® interior & FIRE-X® exterior fire retardant treated lumber, timbers, decking and plywood. Both treatments bear the Underwriters Lab Label as a class A fire retardant with a flame spread rating of 25 or less, and are kiln dried after treatment as required by building codes. PYRO-GUARD® qualifies as a low hygroscopic and non-corrosive, and can be painted or stained. PYRO-GUARD® can be used for roof sheathing, interior framing for walls and floors, blocking, stairs and telecom panels. FIRE-X® is exterior fire retardant treated lumber and plywood designed specifically for use anywhere wood is exposed to weather or high humidity. It can be used indoors or outdoors, in exterior decks, stairways, siding, open-air roof systems, fascia and soffits. Industrial Wholesale & Lumber inventories a large assortment of MICROPRO® treated lumber, timbers, decking and plywood for use in above ground and ground contact applications as well as immersed in fresh water. MICROPRO®, which comes in a lighter, more natural color, is less corrosive to exterior hardware and fasteners and can be used in contact with aluminum. MICROPRO® is the first treated process to be certified under Scientific Certification System Environmental Preferable Products (EPP) based on life-cycle assessment. MICROPRO® also received the GREENGUARD® Children & School Certification having met stringent standards for low volatile organic compound (VOC) emission. Products certified under these criteria are suitable for use in schools, offices and other sensitive environments. 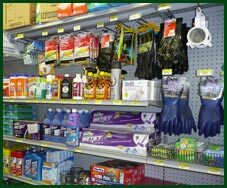 Our retail division, Totem Lumber & Supply is affiliated with ACE Hardware® and offers a wide array of tools, nails, screws and related building and cleaning supplies. Many of our industrial accounts use us as a “one stop shop” for all their lumber, maintenance and janitorial needs, saving them both time and money. Any ACE Hardware® website listed products are available via Totem if they’re not already in stock at our location. We receive ACE Hardware® deliveries twice per week. Please visit the Totem website to learn more.